This week, the BBC formally approved the closure of its youth-oriented television channel BBC3. Despite plenty of protest, the channel will move online from March 2016 as part of a cost-cutting exercise. As yet, no one really has a clue what that will mean for the 925,000 viewers who tune in to the channel. The best guess is that many of them will be lost to the corporation for good. The closure now raises questions over the future of BBC4 as a TV service. Although the BBC has not yet threatened to take the axe to the channel, neither has it guaranteed its future. If the BBC is faced with further cuts (likely under the current Conservative government), BBC4 could suffer the same fate as BBC3. If that happens, it will be a blow to fans of non-English language drama. Over the past few years, BBC4 has played a pivotal role in introducing such shows to the international market. This week, for example, it has started airing season three of acclaimed Danish/Swedish drama The Bridge, showing the first two episodes as a double-header. Picking up where season two left off, The Bridge attracted an audience of 1.2 million for episode one and 925,000 for episode two. The first of these two figures is a record for the channel, beating the 1.1 million who tuned into the second to last episode of the previous season. While The Bridge is an exceptionally strong performer, BBC4 has had repeated success with non-English-language scripted series. Another Scandi show that has been airing in recent weeks is Arne Dahl, which has been picking up audiences of 600,000 to 700,000 consistently on Saturday evenings. 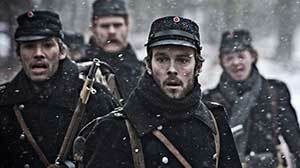 Prior to that came Beck, a series of feature-length TV films based on the novels by Maj Sjöwall and Per Wahlöö. Again, ratings were in the region of 600,000 to 650,000. And while Danish period drama 1864 didn’t manage to hold its audience as well as some of the contemporary Scandi shows (954,000, 687,000, 530,000, 495,000 over four consecutive episodes), this still rates as a decent performance compared with the channel average. Although Scandi shows are BBC4’s hottest property, the channel has also shown that people who are willing to watch foreign drama are not overly fussy about where it comes from. Over spring and summer, Italian detective drama The Young Montalbano regularly attracted between 600,000 and 700,000 despite having to contend with lower audiences in the warmer months (it’s noticeable actually that the show dropped a bit in June/July). Prior to that, the year opened with a storming performance from French drama Spiral (a winner at this week’s International Emmys). Having kicked off with an audience over just over one million, the show stayed rock steady throughout January and February – bringing in audiences of around 850,000 to 900,000. So what would happen to this kind of drama if BBC4 did disappear at some point in the next couple of years? Well, it would take away an important high-profile platform for such shows. But the truth is the channel has done its job so well that non-English-language drama would probably still find other homes. Platforms like Netflix and Channel 4-backed Walter Presents are both buyers of such shows. And it’s even possible that BBC4 sister channel BBC2 might decide Scandi drama is worth investing in. In the meantime, though, expect The Bridge to keep doing well on BBC4. 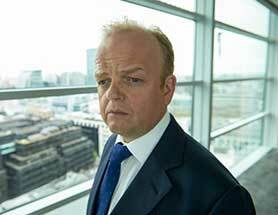 Still in the UK, this week saw BBC1 launch Capital, a three-part drama from Kudos that stars Toby Jones. Jones, who is one of the stars of the upcoming Dad’s Army movie, helped the show to 3.8 million, which is OK but not spectacular. Scheduling didn’t help, with Capital up against ITV’s entertainment juggernaut I’m a Celebrity… Get Me Out of Here!. So it will be interesting to see if the show picks up significantly in terms of time-shifted viewing. The issue of how we judge the success or failure of a drama is an ongoing debate these days. At Fox in the US, for example, senior management recently decided they will no longer have anything to do with Live + Same Day ratings. “We will not acknowledge them for any programming other than live events,” said joint chairmen/CEOs Dana Walden and Gary Newman. Instead, the emphasis will be on Live+3, Live+7 and multi-platform data – all of which provide a more holistic view of the audience. Fox’s decision is understandable and follows the lead of many cable channels. In essence, it allows a measured judgement once all of the time-shifted/non-standard viewing data has come in. Still, it would be a mistake to regard Live + Same Day as irrelevant to the ratings discourse. In the same way that the movie industry places so much emphasis on opening-weekend box-office figures, Live + Same Day figures provide a valuable insight into whether a TV network has got its pre-launch publicity right, and whether it has found an editorial formula that excites the audience. It’s also a guide to whether a show has been scheduled correctly. There is a risk, for example, in putting an expensive drama up against a show that demands live viewing – such as Capital vs I’m a Celebrity. If viewers don’t come to a drama on its opening night, it might mean they’re saving it up for a special moment. But it might also mean that it is regarded as back-up viewing, a second-best alternative. Or it might mean there is a schism within the family – the men want to watch but the women or children don’t, for example. You could argue that none of this matters as long as word of mouth supports the show and the audience comes to it eventually. But any good sales executive will tell you to try to clinch the sale straightaway rather than let the punter go away and think about it. In my house, many dramas get saved for later and then deleted or forgotten about. Any delay in viewing means a window is opened up to non-viewing or viewing via piracy or via SVoD, both of which change the economic return on a show. On the subject of how we should assess ratings, the opening episode of Sky Atlantic’s six-part heist drama The Last Panthers saw its UK audience rise from 228,000 to 696,000 once non-live figures were added in. But episode two’s live numbers dropped to 112,000. This is a classic example of the mixed messages broadcasters have to deal with these days, though with an IMDb rating of 7.2 the message seems to be that the show hasn’t quite captured the audience’s imagination as yet. By about episode four, however, we should have a clearer picture of whether the show has gained enough support to merit a renewal. 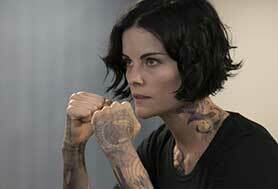 Elsewhere in the Sky family of channels, US drama Blindspot debuted on Sky Living with an audience of 383,000, a healthy start. In the US, the show is the top-rated new series of the season and has been renewed for a second run by NBC. As such, it should settle in nicely on Sky Living and do a good job for at least a couple of seasons.